At a secret base in Qatar, the US military is training rebels to raid Syrian government troops and vehicles, as well as to “finish off the soldiers still alive after an ambush,” first-hand interviews in a Frontline documentary have revealed. The documentary, scheduled to air Tuesday night on PBS stations, offers rare insight into how Washington is fostering the armed insurgency against Syrian President Bashar Assad. It features interviews by journalist Muhammad Ali with Syrian rebels presented as members of a “moderate faction” who describe a clandestine meeting with their “American handlers” in Turkey, along with the receiving of weapons and ammunition and the subsequent travel to Qatar for training. At a Qatar base, said to be on the border with Saudi Arabia, the rebels allegedly received three weeks of training in the use of sophisticated weapons and fighting techniques, and also received new uniforms and boots. “They trained us to ambush regime or enemy vehicles and cut off the road,” a fighter identified only as 'Hussein' told Ali. “They also trained us on how to attack a vehicle, raid it, retrieve information or weapons and munitions, and how to finish off soldiers still alive after an ambush,” the masked rebel said. According to Ali, the 21-year-old militant had not had any prior military training, like many of his fellow fighters. Initially, Hussein and about 80 to 90 other rebels were sent to Ankara for training at the request of “American contacts,” Hussein’s commander told the journalist. After days of interrogations “about their political leanings and their unit’s fighting history,” some military men, who the commander thought were from the CIA, told the rebels they were to be sent to a training camp in Qatar – a Persian Gulf monarchy hosting several US military bases. 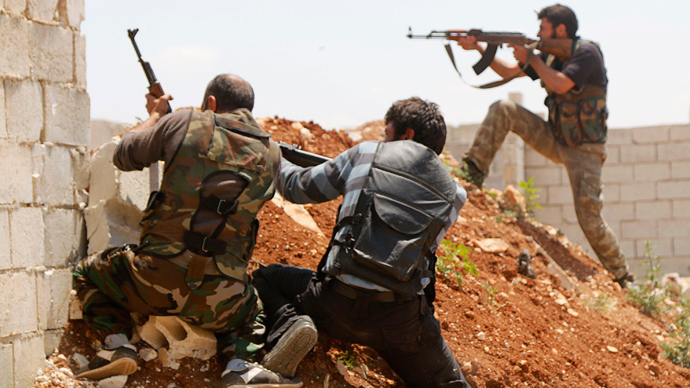 How the training will impact the civil war in Syria remains to be seen. 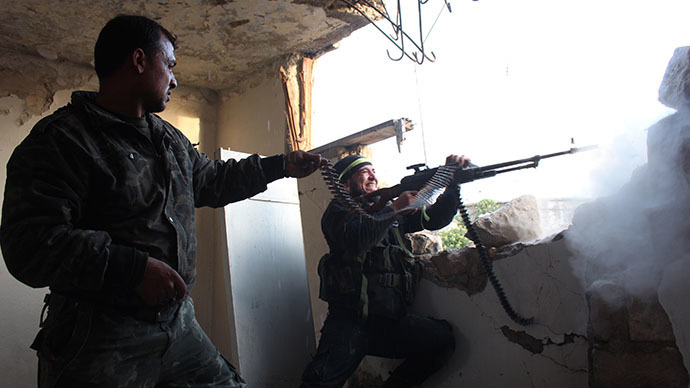 The rebels told Ali they need anti-aircraft missiles to combat Assad’s superior air forces. It was previously reported this month that the US supplied so-called moderate opposition forces with anti-tank weapons in a “pilot program” aimed at strengthening anti-Assad fighters. American officials said the initiative would serve as a test to see if the US could supply opposition rebels with weapons without the artillery “fall[ing] into the wrong hands,” specifically Islamist forces like the Al-Qaeda-aligned Nusra Front and other groups. 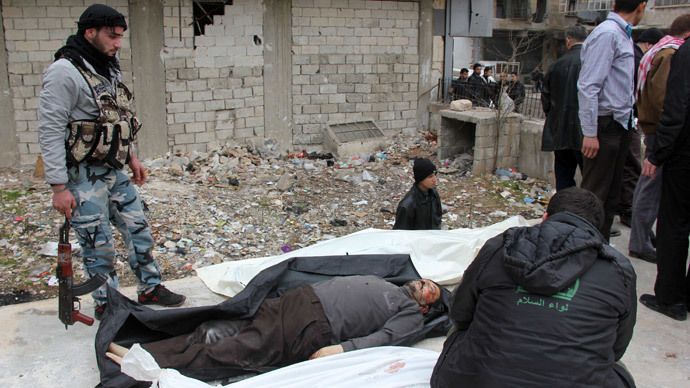 Syria was plunged into civil war in 2011 when peaceful uprisings against Assad descended into violence. As a result of the conflict, at least 150,000 people have died and millions more have been displaced and gone into exile. 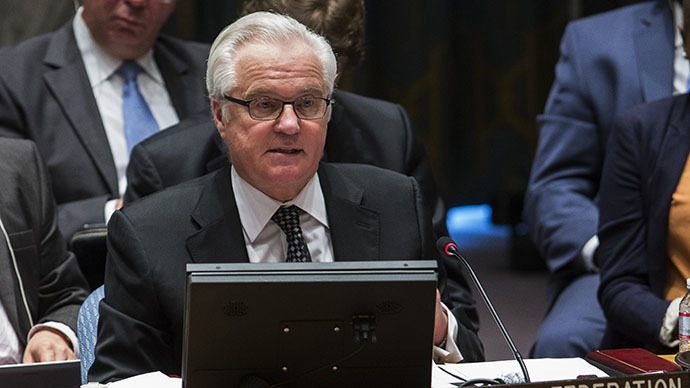 The international community made significant progress last year when the US and Russia agreed that Syria should destroy its chemical weapons stockpile following an attack in Damascus on August 21, 2013. 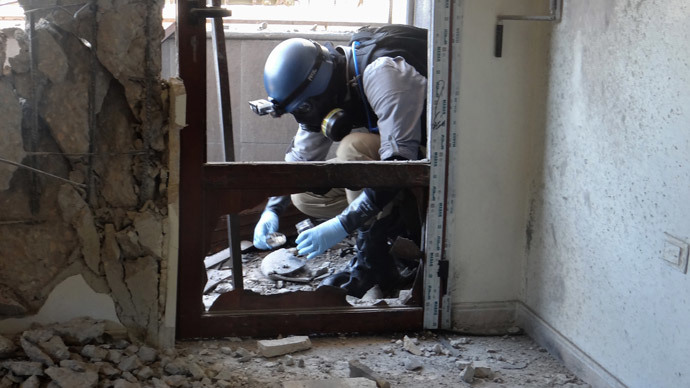 The UN's Organisation for the Prohibition of Chemical Weapons task force confirmed earlier this month that 92 percent of the weapons stockpile has been removed from the war-torn nation.